The Gothic text is taken version of Ulphilas made around 390 A.D. The Anglo-Saxon version dates from about 995 A.D. The Wycliffe version is taken from the earlier, more literal version of about 1389. 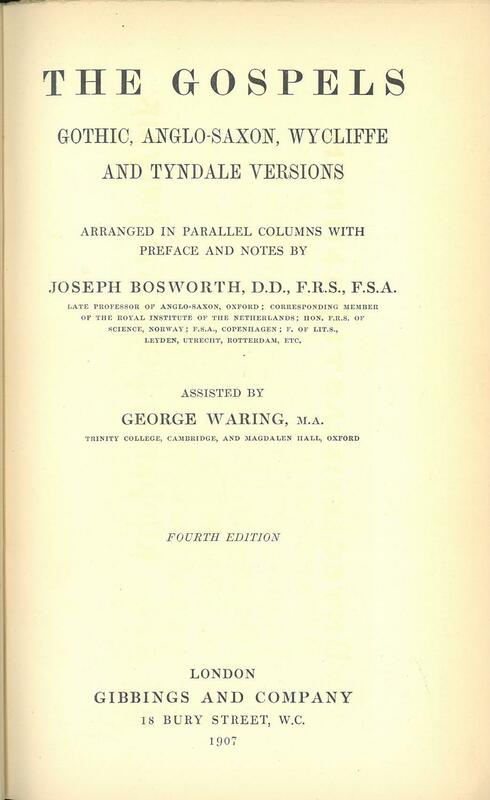 The Tyndale version is from the first edition of 1526.